For years, Akram Allahabadi's detective novels that were once a rage, had become rarer to find. Finally, there is good news, as his family has decided to print his novels once again and bring them in public domain. The website AkramAllahabadi.com has also been put up for the fans of the late author who wrote spy fiction for well over three decades. Many today may not be aware about the magical world of Urdu detective fiction that was weaved by him. It was in the post-independence era (starting from 1952-53), when detective fiction in the sub-continent reached dizzy heights. Akram Allahabadi, who was born in Allahabad, and who had later settled in Mumbai, was among the most popular writers of the era. In those days, his novels sold like hot cakes. Today, it is unimaginable the kind of following Akram Sahab or Ibn-e-Safi, had among masses. Akram Sahab created many famous characters. Among them were Inspector Khaan and his assistant Baalay, Madhulkar and Raazi were most popular. 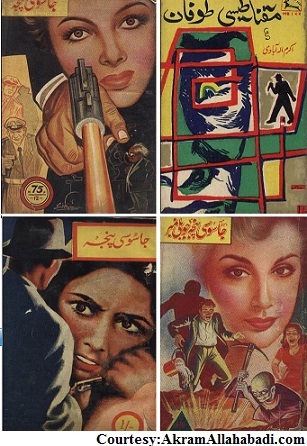 The novels were published in Urdu and Hindi, and were awaited every month by fans in India and Pakistan. But by 1990s, the novels were hard to found, except in libraries or personal collections. In my childhood, I have seen almirahs full of Jasoosi Panja and Mahnama, in towns in UP. 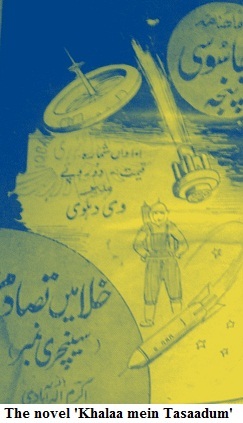 While Ibn-e-Safi novels were republished, Akram Allahabadi's (or Ilahabadi) works became rare to find. Sometime back I spoke to a Delhi-based publisher who prints digests that has 2-3 old [Ibn-e-Safi's] detective novels every month [of course, without caring about royalty]. The publisher said that he tried hard but couldn't get Akram Sahab's novels. He asked me if I had any and said that he would love to purchase them and re-publish them. Till recently, Akram sahab's famous novels like 'Sputnik', 'Junction Bilara', 'Salazar Series' and 'Operation Venus' were remembered. His forte was science fiction. The website brings back the memories of the era. As an ardent fan, I expect at least of his famous novels to be made available [entire text, for free] for visitors to the website. This would be a 'tabarruk' for his fans. Also, those who haven't read him before, will get to read at least one of his complete work. The photographs of the master writer and his family, apart from covers of his novels, are treat to his fans. As a fan of the late writer, I am thankful to all those who helped create the website. Hope, they will keep updating and adding more novels to it. It's very important to keep his legacy alive. The news of cartoonist Pran's death in a hospital in Delhi, led to widespread grief and nostalgia--both on the street and on social media. Those who had grown up reading his comics, paid rich tributes to him, and there were numerous obituaries in newspapers and websites. Pran, who was born in Kasur town in undivided India, is mostly remembered for his creation of the iconic Indian comic character, Chacha Chaudhary. But the gifted artist created many more characters which include Billu, Pinki, Shrimati Ji, Channi Chachi, Dabu and Raman amongst others. For decades Shrimati Ji was published in women's magazine Manorama. 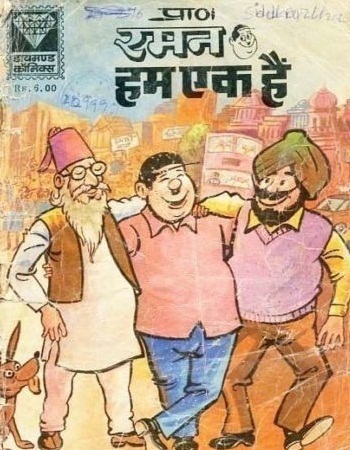 There's no doubt that Pran got immense success with Chacha Chaudhary that was published by Diamond Comics. I remember that initially I was not a big fan of Chacha Chaudhary because the stories were not long. Most of us got the comics for 25-50 paise from neighbourhood libraries. I expected the story to be a bit longer. Each comic had many short stories that ran into 4-5 pages. This was unlike Lambu Motu, Rajan Iqbal, Fauladi Singh and other comic strips, which had a long story line running into 45-48 pages. However, I enjoyed reading the naughty Billu and the Pinky, the girl who was always up to some tricks. However, after the 'villain' Raka was introduced, there were long running stories too in the Chacha Chaudhary series. 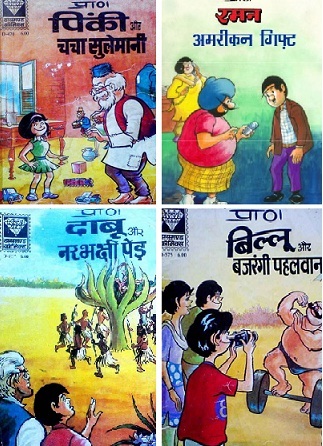 When Chacha Chaudhary was launched, there was still a generation which was hooked to Indrajal Comics. But Chacha Chaudhary went on to enjoy cult following. The character of Sabu, especially, made Chacha Chaudhary more interesting and different from other similar characters. Diamond comics became the market leader. As far as art, humour and stories are concerned, there are numerous aspects that can be discussed. 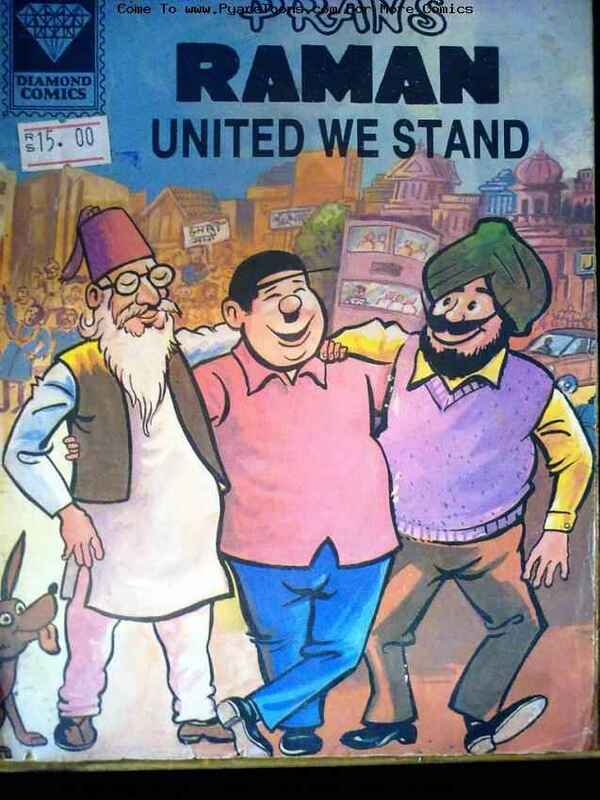 However, I would like to reflect on how Pran's comics were always centred on communal harmony and inclusivity. 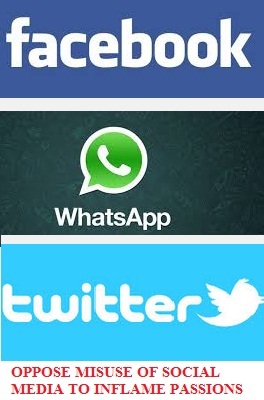 It was not the era when 'secular' was called 'sickular'. The stories had Muslim, Sikh and Christian characters, quite often. There would be a Khalifa, a David, a Sardarji or an 'Amjad' in every third or fourth story in most of his comics. When the new character, Raman, was introduced, the comic-Ham Ek Hain, was a nationwide hit. It was available at all the book stores. I still remember that former Prime Minister Indira Gandhi had released this particular issue. Today, many people may not realise the importance of it. But the message of secularism through comics can't be underestimated. This was visible in Chacha Chaudhary, as well as other comics of Pran. There were few other cartoonists who took care to have characters belonging to different regions and religions. Soon, Diamond Comics lost to the new emerging Raj comics. The strips were now focusing more on crime, violence and superheroes. The stories often showed triumph of good over evil but the message of social inclusion and harmony wasn't seen thereafter with such passion and intensity in comics of the later era. Certainly, Pran is immortal. The man, his works, his characters can't be forgotten. 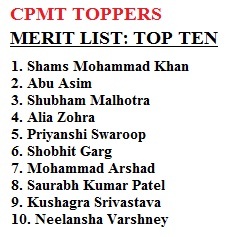 When result of the Combined Pre-Medical test (CPMT) was announced recently, it was a pleasant surprise for the Muslim community in the most populous state of the country. 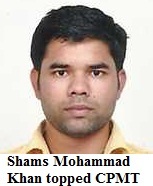 Shams Mohammad Khan topped the examination and secured FIRST place in the merit list. 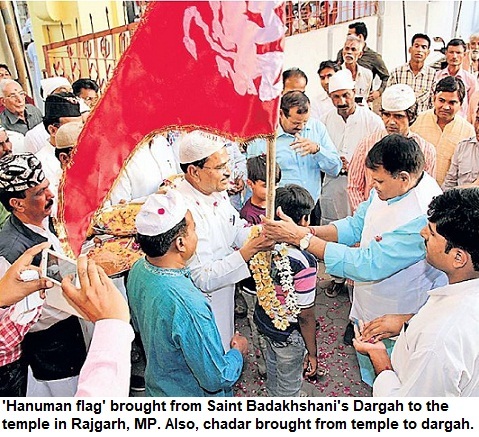 The second rank also went to a Muslim boy, Abu Asim. A Muslim girl, Alia Zohra, figured at the fourth place in the merit list of the highly competitive examination. Further, Mohammad Arshad achieved seventh rank in the merit list. The topper, Shams Mohammad Khan, hails from a village in Hardoi district. Abu Asim who secured the 2nd rank belongs to Azamgarh district. He may not take admission in any college in UP as he had already been selected in AIIMS, Bhopal. Over 1 lakh candidates had appeared in the UP CPMT for admission to state medical and dental colleges that have nearly 2,000 seats. While Muslim boys and girls have been excelling in examinations in different states across in the county in the last few years, the remarkable performance of Muslim students in UP, especially, in the medical entrance examination, bodes well for the community and the nation. It requires great deal of hard work to make it to the merit list in medical entrance test. The exam is the gateway for MBBS (and BDS) courses. Fortunately, there has been the emergence of a strong Muslim middle-class in the last two decades in India. And, clearly there is increasing focus is on education.